The Franklin County Sheriff reported minor injuries to the occupants of both vehicles In a two car accident at Glade Rd and Sheffield Rd about 24 miles north of Pasco. The post gives no details but seeing that Sheffield Rd has stop signs, it is most likely that one of the drivers ran the stop sign, causing the accident. Since the post does say that the occupants of both vehicles were injured, let’s discuss how car insurance might cover those involved. We all want to believe we are the good driver so let’s start here. Personal Injury Protection (PIP) – This is the coverage on your own policy designed to cover medical bills. Personal Injury Protection pays first and asks questions later. It does not matter if you are at fault or not, so your insurance company can pay the hospital bill immediately. PIP can also pay lost wages and other incidentals after an accident. Uninsured Motorist (UM) – If the other driver does not have insurance or enough insurance, this coverage can pay for the things the other guy’s insurance would have. The issue with UM coverage is that it may take some time to determine if the person had insurance and how much. Until that determination is made, your Uninsured Motorist coverage cannot pay your medical bills while the hospital and doctors refuse to wait. The At-Fault Driver’s Liability Insurance – If it is the other guy’s fault, his insurance should cover all your medical expenses. This assumes he has car insurance. If he doesn’t, you will have to depend on your UM coverage. If you have PIP, your insurance company will go after the other guy’s insurance to get repaid for the amount they paid, called subrogation. But, just like your UM coverage, the other guy’s insurance won’t pay anything until fault is determined and then only after you settle with them. The driver who caused the accident also has medical bills. Personal Injury Protection (PIP) – Once again this is the coverage designed to cover your medical bills and pay them fast. PIP is considered a No-Fault coverage, meaning it pays no matter whose fault the accident is. It also is the only coverage that is designed to pay for those in the At-Fault vehicle. Personal Injury Protection (PIP) – Yes! If you or a family member are a passenger in someone else’s car and involved in a car accident, The PIP coverage on your own policy will cover you as if you were in your own car. Did I say PIP is a great coverage? The At-Fault Driver’s Liability Insurance – If you are a passenger in the At-Fault vehicle and not a close relative, you may be able to sue them for damages you incurred in the accident. So, yes. Personal Injury Protection (PIP) is a great coverage to have no matter which vehicle you happen to be in. In many states PIP is mandatory but in Washington the policy holder can decline the coverage. But in situations like this, PIP coverage is very important. This coverage may also be rejected by the policy holder in Washington. You are also limited to only being able to carry as much UM as you have regular liability coverage, from $25,000 per person on up. One very good reason to increase your liability insurance is so that you can raise your UM limits and increase the protection for yourself and your passengers. Fill in the form on the right sidebar and mention in the note you would like a quote on your car insurance or call us at (509) 783-5600. 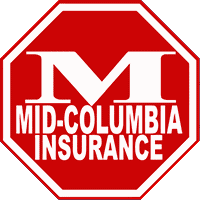 We can get you the coverage you want at a price you can afford.